The U.S. is planning to upgrade its airports to keep up with the world’s best airports. The United States has incredibly busy airports — in fact, some of the busiest in the world. That’s good because it indicates that many of the more than 4 billion global air passengers each year are flying in or out of America. However, a sobering statistic is troubling. America no longer has a single airport listed in the top 25 best airports in the world. That, however, may change. Airport officials throughout the U.S. have announced major upgrades. There are plans for all types of new airport construction and expansions and some are already in progress. Passenger terminals will be upgraded, people movers are being installed and security lines will operate more efficiently. Almost every airport will get new technology. American airports also have plans to become more people-friendly. Passenger comfort, convenience, enhanced amenities, and more retail will be high priorities. The airport marketplace in America — already large — is expected to become huge. There are more than 19,000 airports in the U.S. with an average age of 40 years old. Almost every airport is overdue for upgrades and expansions. Many have already started major upgrading projects. This fact has not gone unnoticed by experienced global contractors from throughout the world. Many have moved people and operations into metropolitan areas of the U.S. 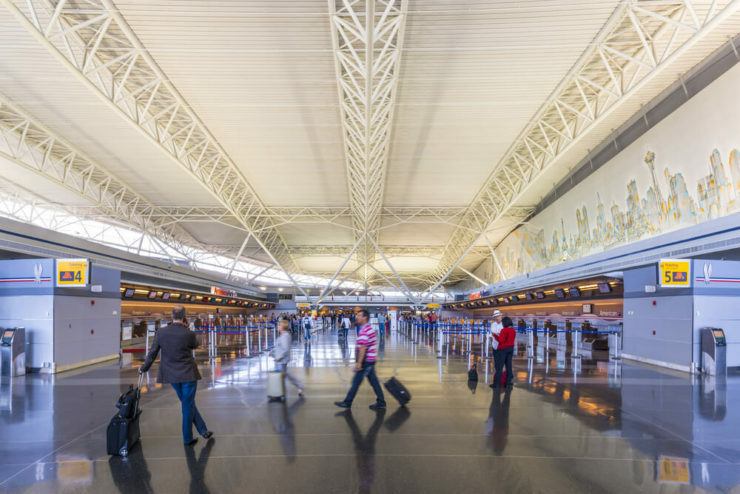 According to Architectural Record, more than 50 airports in America could collectively account for up to $70 billion in construction projects in the next three years. 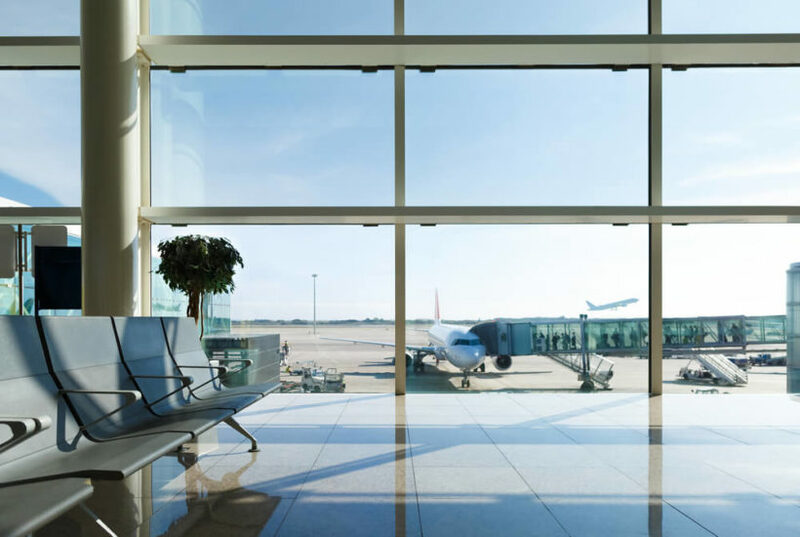 Because of anticipated costs, many airports will collaborate with private-sector partners and will consider various types of alternative funding sources. In St. Louis, Missouri, city officials are considering an option that has become rather common in other countries — privatization of all or major parts of an airport. A consultant and an advisory group currently are working with the city to vet the possibility of leasing the St. Louis Lambert International Airport to a private operator. The city would retain full ownership of the airport but daily operations would be managed by the private-sector partner. The city already has approval for its preliminary application from the Federal Aviation Administration’s Airport Privatization Pilot Program and the city’s budget director announced that an initial request for qualifications (RFQ) may be issued in the first half of 2019. The city council in Austin, Texas, has approved the Austin-Bergstrom International Airport’s new Master Plan. The plan addresses the impact of future growth and the need for expansion. The City anticipates a doubling of passenger growth over the next 20 years to serve 31 million passengers. Projects outlined in the plan will require an investment of billions of dollars. The first phase of the project is expected to begin later in 2019. In Alaska, Officials at Ted Stevens Anchorage International Airport are also hoping to partner with the private sector to develop a large cargo transfer facility. This airport is one of the few in the world where foreign cargo can be transferred from one aircraft to another without being subject to customs and other trade requirements. Officials want to expand the current facilities to gain greater efficiency and additional storage for larger amounts of cargo. A request for qualifications is expected in late spring and a request for proposals (RFP) will follow later this year. The City of Chicago is continuing a massive expansion of O’Hare Internal Airport. Plans include construction of a new O’Hare Global Terminal that will feature additional gates, more room for concessions, lounges, improved security screening, and new baggage systems. The estimated cost of the project is $8.5 billion. The Houston Airport System issued a request for information (RFI) related to an Inter-Terminal Train (ITT) project. The airport wants to upgrade transportation between existing terminals and a hotel at the George Bush Intercontinental Airport. The project will be to renovate, modify, refurbish, manufacture, install and operate the ITT system which is outdated and expensive to operate. A final decision about whether to refurbish the old system or create an entirely new one has not yet been made. The RFI will close at the end of May with an RFQ/RFP to follow. The John Wayne Airport in Orange County, California, announced plans to overhaul its concessions. Airport officials are seeking proposals for new restaurants and retail outlets. The objective is to make the airport’s three terminals more passenger-friendly. The first phase is scheduled for completion by June 2020 and further expansions will continue through 2021. Companies with experience in airport consulting, construction, expansion and renovation are in high demand in U.S. cities.